Mortal Kombat X showed what 55 characters had been doing. What about MK11? There were some mentions of Nitara, Jade (probably her in Kitana's ending), Kobra or Onaga, but we never got to see a model for them, so I'm not even counting those. Now if, according to Derek Kirtzic and Ed Boon, if MK11 is only taking events from MK1 to MK3, that would be incredibly boring to me, I'm really fed up with those characters and those events. I hope they realize this. Liu Kang and Kung Lao meeting their past goody-goody selves...meh. Sonya fighting with Kano...again? “Ello baby, did you miss me?” is going to get soo redundant. Characters need growth, Sub-Zero needs to get into his 3D era arc progression with the cryomancer heritage in the icy mountains of Outworld asap, Havik, Fujin, Reiko or Sareena have to get some development, everybody loved them when they were on-screen. From the people who wrote the awesome things in MK Deadly Alliance, Deception and Armageddon only Jon Greenberg and John Vogel are left and I don't know how much influence they have over what Ed Boon decides anymore. Vogel appears to have taken a big step back. Alexander Barrentine, the third writer from that era, appears to not even be affiliated with NRS anymore. And it's a shame, cause these were really great writers, who brought us Sub-Zero as a cryomancer, Scorpion as a Champion of the Elder Gods, Mileena as Queen of Outworld impersonating Kitana, scenes like this one: https://youtu.be/0jx3ldJtYC4 , character development for everyone and great mythology in Deception and Armageddon. How many charcaters would you show in MK11? Would you rather it had a comic too? Would you like to see 50-60 characters and their whereabouts? Or just the 30 characters from MK3 and the kombat kids? What would you like for any these characters to do in MK1 and where would you like to see them? Shawn Kittelsen is writing the MK11 story with Dom Cianciolo and Jon Greenberg, but he will only focus on the characters Ed Boon and the other bosses tell him to. 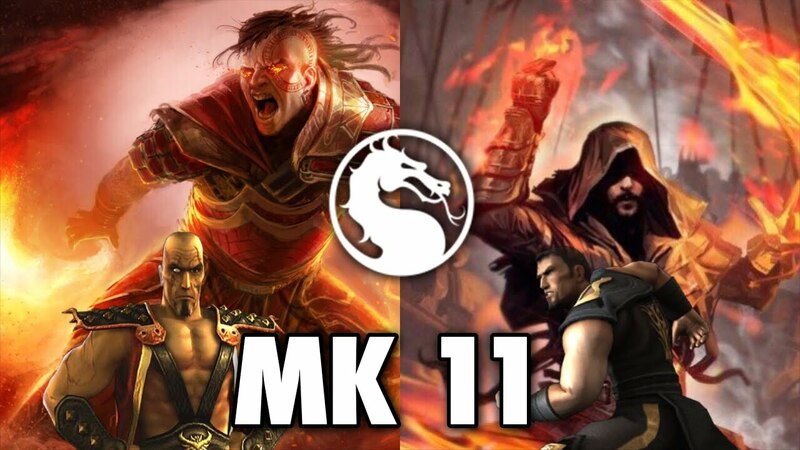 I do not know if MK11 will be taking events from MK1-MK3. I agree that would be a regression since those events were covered in MK9 two games ago. I hope we see a lot of things that are new. Kronika's motives and backstory are interesting to me and I hope to see some characters that have not been playable make an appearence. I think a comic would have been great but there is not going to be one. There were events in MKX that were not explained very well that the comic tried to explain so just to explore the lore and flesh out events that are not explained very well. I think the game will have a lot of NPCs. Hopefully the story mode will not be as short as the one in MKX. When did they say mk1 through 3 only? RE: Mortal Kombat X showed what 55 characters had been doing. What about MK11? Right off the bat I'll say, I don't think it's fair to say MKX told us what 55 characters were doing, and then count things that happened in the comic book. BUT... even if we assume the comic book is mostly canon, tie-in material updating us on a character is not the same as the game updating us on a character. Especially when we already know MK11 has no such tie-in material. THAT said... I do like it when the games update us on secondary characters. Even if only in a bit of dialogue. MKDA's Konquest mode, for instance, was real good for this. It name-dropped and explained the status of several characters who didn't appear at all. As for MK11, it's hard to say how much the 3D era is going to be involved. On the one hand, Kronika appears to be backing things up to the Trilogy era, when Raiden first starts messing around with the timeline. So based on the current state of events, the history from Deadly Alliance to Armageddon literally never happened. It hasn't had a chance to, yet. 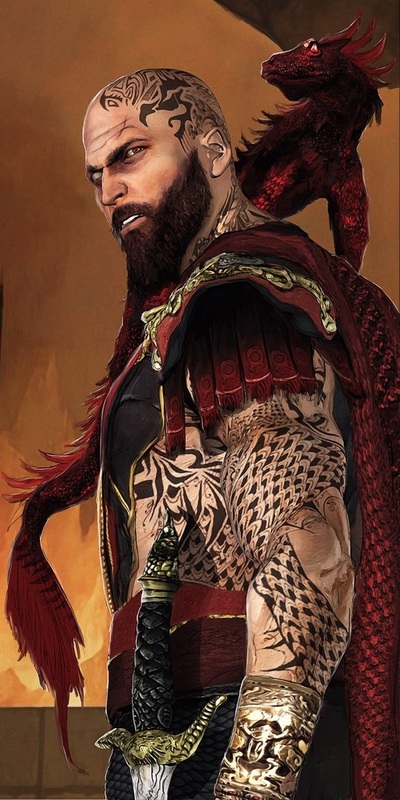 On the other hand, character endings from MK9 and MKX, as well as the MKX cameos, show that the characters and events from that era have not been forgotten, and Kronika's motivation is presumably to get the timeline back on track. Maybe that only means that Armageddon is supposed to happen and the rest doesn't matter. But maybe there's more to it than that. Does Kronika also want to ensure Onaga's resurrection? What was Shinnok's intended path supposed to be if he wasn't one of the final kombatants in Armageddon? Is the nihilistic "truth" he keeps talking about something involving the One Being's intention to unmake the universe? How big is this new story going to be? It's really hard to predict what they're going to do until we have a little more information. Especially when the canon of the comic book is debatable at best. How is it not fair? MKX was this massive game which incorporated a lot of things: mobile game, comic, DLC etc. Why should I not expect, 4 years later, with better technology, something that surpasses that? Yeah but... if you bought the game and never knew there was a comic or didn't read it, then you only know the story that was told in the game. The comic is related, but separate. One can argue that material that wasn't given in the game was not in the game. Which is why in some ways the story of MKX feels incomplete. The comic does fill in some of the story gaps that you mentioned: Takeda's origin, Kotal's adventures in Earthrealm, and Sub-Zero's konquest of the Lin Kuei were crudely breezed over in the game but well fleshed out in the comic. But I don't think players should be obligated to read the comic to get more than a bare-bones idea of the story. If you need supplemental materials to follow what's going on, the story is missing something. The comic's canonicity is debatable, mostly because the whole Kamidogu storyline was this huge thing in the comic that for some reason no one in the game seems to know about. Takeda refers to his teammates as "new faces" even though he's met Cassie and Jacqui before in the comic. When Cassie and Jacqui try to convince Kung Jin that they can handle interdimensional threats, they talk about the military combat zones they've been in but they never mention their experience with the Kamidogu. It's almost like... it's a story that Shawn Kittelsen totally made up to pad out a comic. Most likely, the developers told Kettelsen to write a comic explaining the backstories of some characters and how the treaty between Earth and Outworld came to be, and he came up with a way to tie it all together into one narrative. Some elements of the comic are "true," but others seem to exist in the comic world only. So I would consider the comic to be "soft canon" and not take it too seriously. I do appreciate that in the game itself, the story does allude to characters like Sektor, Li Mei, Sareena, Bo', Frost, and even gives a little shout out to Reiko by mentioning the Reiko Accords. Lots of unplayable characters had some kind of role or reference in the story mode, and a few more get nods in the endings. That was pretty cool, and I expect them to do more with it this time around. I would assume they're doing nothing. Just chilling, killing. Also... in the game Goro still has four arms. That's kind of a glaringly not minor inconsistency. Someone didn't read the comics till the end. My man on the avatar gave them back to him. Don't get your hopes up on MK11 giving a lot of NPC story mode appearances. Not because of the NPC fighting backlash, but because there's plenty of characters that I hope they deepen. I rather have less characters and a deeper story than for example that whole Kotal Kahn chapter, which made the whole taking over Outworld and replacing Shao Kahn seem like a joke. I rather have less characters and a deeper story than for example that whole Kotal Kahn chapter, which made the whole taking over Outworld and replacing Shao Kahn seem like a joke. You say you'd rather have less charcaters now, but after the game comes out, it just wouldn't have the same magic. All Easter eggs and character cameos are the flavour of the game. If you spend the next 4 years (until ethe next MK game) wondering where your favourite character was and what was it doing and why wasn't he/she shown at all in the game, it's not very fun. I’m saying I rather have a character not in at all then a meaningless appearance with a tease to be in as DLC. The outrage over Baraka, Sindel, Rain, Smoke and Fujin was enormous. Why you think that is? Significant story time for me should be playable, which is not necessarily NRS’s strategy so I’d rather nobody outside of main and DLC appear. I admit, I didn't. I was reading them before the game released, but once the game came out and I realized they didn't matter at all, I didn't stick with them. The first one is correct. There's no reason to believe he wouldn't succeed in getting his arms back, though. It'd be pretty crazy if Goro wound up becoming the new vessel for Onaga in the process, instead of Reptile. He is half dragon after all. If the comic had gotten a second run I bet Onaga would have driven the main storyline.